The stain of original sin is not in you. Oh Mary, God loved you so much He preserved you from every stain of original sin. You have no moral or natural imperfections, so you were able to freely accept God’s Will. That “yes” then preserved you, and your works, from any form of evil. Help us to live our “yes” to God’s Will every day of our lives. Oh Mary, pure lily, we rejoice that from the first instant of your Conception you were filled with grace and the perfect use of reason. We adore and thank the Most Holy Trinity that you were given such a sublime gift and, in your presence, we are embarrassed by our own lack of virtue. You who were so filled with celestial grace, allow our souls to be enriched by the treasure of your Immaculate Conception. Hail Mary. 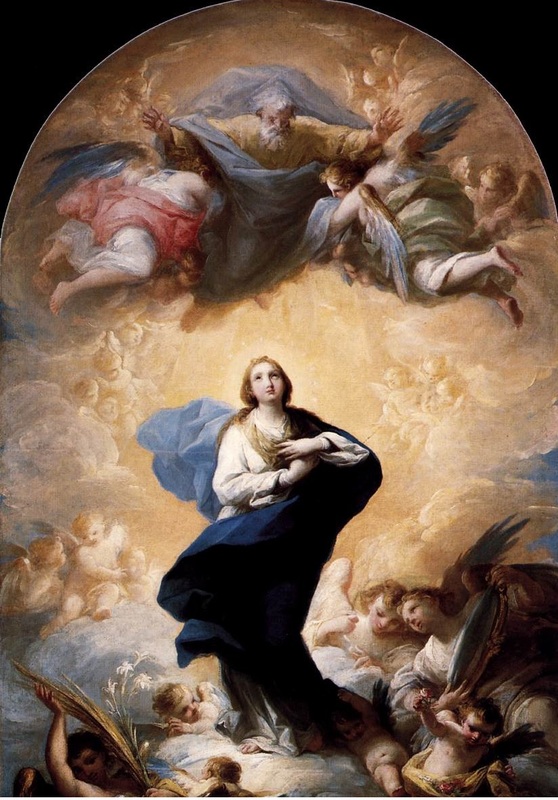 Lord God, you prepared a worthy dwelling place for your Son by the Immaculate Conception of the Virgin; grant, we pray, that as you preserved her from all stain of sin in your foreknowledge of His death, so we, by her intercession, may come to you with pure hearts. We ask this through Christ our Lord. Amen.